We are Pers Removals, a Chiswick removal company with a wealth of experience helping people throughout the Chiswick area relocate. We offer packing, moving, and storage services, ensuring that we can help make your relocation as hassle free as possible. 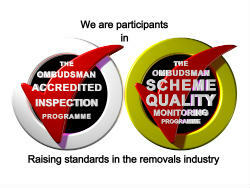 We promise to deliver complete customer satisfaction and make our customers’ move one without issue. We also promise to provide safe, affordable storage to customers, giving them peace of mind that their belongings are well-cared for in-between moves. We are here to make moving easier. To do that we offer relocating, packing, and storage services. Each project is undertaken by our expert team who have a wealth of experience providing removals in Chiswick. We have a long list of satisfied customers who will testify to the level of quality offered in each of our services that also helps our business reputation grow. On top of our unrivalled level of service, we operate a low-cost policy, meaning that everybody in the Chiswick area can afford our services. We keep our prices as low as possible, without compromising on quality, so that when you call us for help, you receive the service you’d expect, at a price you can afford. 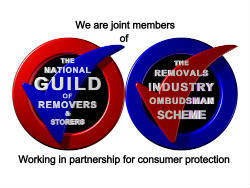 We should be everyone’s choice over a nationwide removals company. We know the Chiswick area well, helping us shift your belongings efficiently and safely. We take great care of each of your items, whether they’re being transported to your new house or stored in our safe storage facility. You can rest assured that each item is cared for as if it were our own. If you would like to obtain a free quote or speak to a member of our dedicated team, you can contact us directly here.